Singing and Spinning: HI YA! 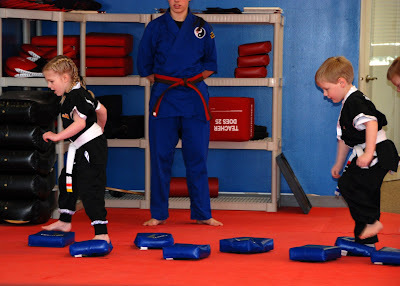 Jade and Luke got to go to a make up class for Karate on Saturday morning because of Spring Break. 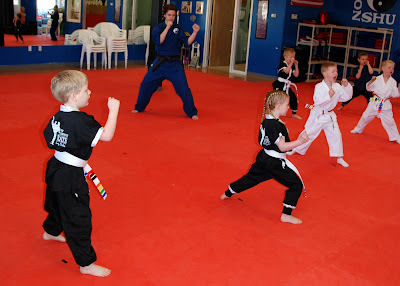 The greatest part of Saturday morning karate is that everyone got to go and watch. Check out the straddles on those kids! Our kids might need some help on their right and left. 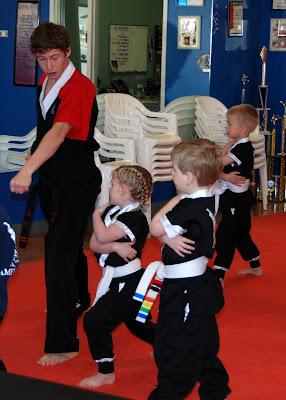 Kudos to the "karate kids" AND their instructor. 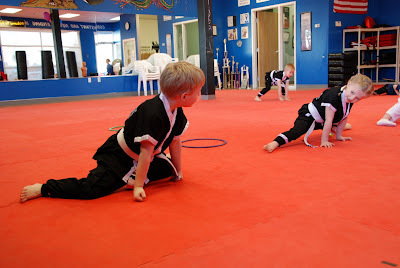 This class is a terrific mix of fun, skills and discipline for the students while it provides great entertainment for parents and grandparents!